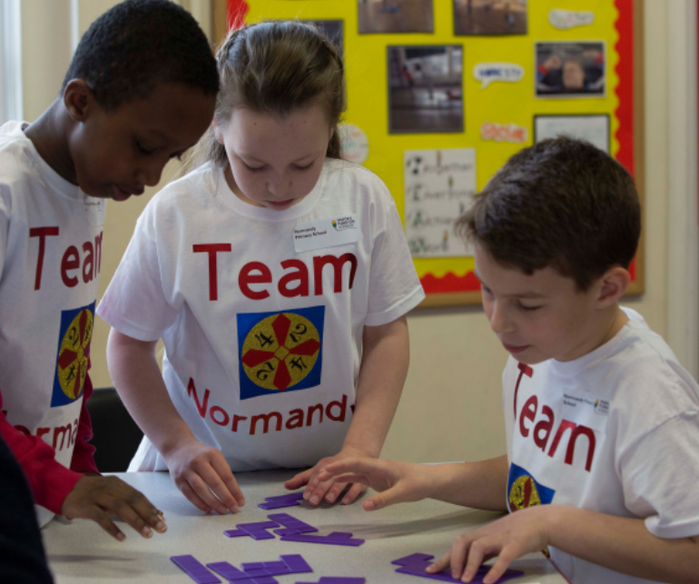 On Monday 19th March Normandy Primary had the privilege of hosting the Primary Challenge regional heats of the London 24 games, an initiative run by the Mayor's Fund for London. 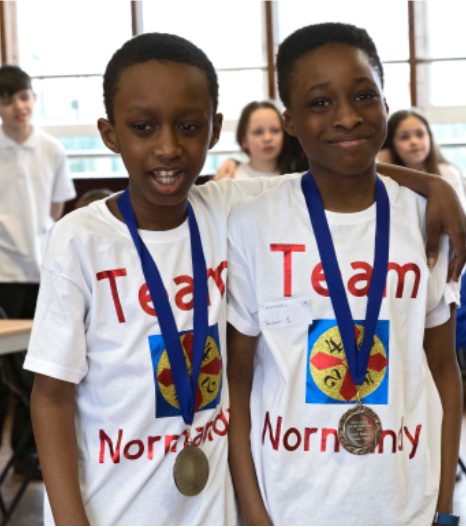 We welcomed teams from fifteen schools across south London to take part in a series of events, with the winning school going on to compete at City Hall. Miss Hutchinson and Mr McDonald (the two wonderful teachers who run the 24 Club) chose Anduen, Ramadan and Maddie to compete against the other schools. Meanwhile, the other 24 Club members had the chance of helping out at the competition. After a quick practice, the children stepped nervously into the hall to see many other teams looking very confident. Nerves were very high and the tension was palpable. First up was the shape rounds (tanagrams and pentominoes) which Normandy absolutely smashed! We got 90 points! Then it was the 24 games where we successfully got 144 points! Up last was code breaking. Normandy didn't do brilliantly but we still got 140 out of 185! Altogether the team got 374 points which was amazing. The nerves were even higher when the lady announced the top two schools who would go through to the final...Baring Primary School and Normandy Primary School. The semi-finals will be held at City Hall at some point in June.